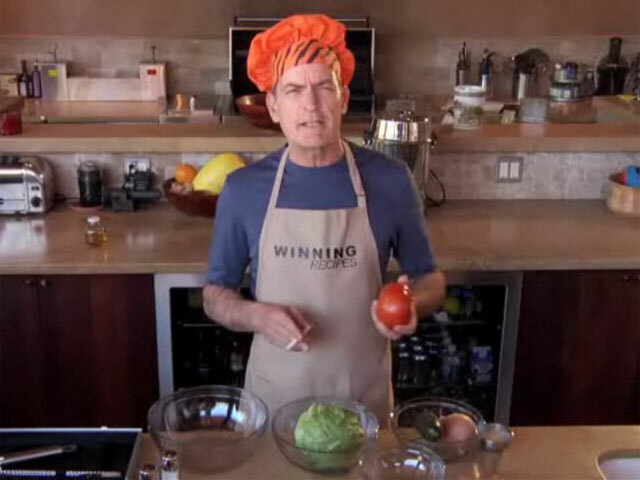 WINNING: "Charlie Sheen's Winning Recipes"
(CBS) Finally Charlie Sheen is cooking something other than 7-gram crack rocks. In this "Funny or Die" clip, the unemployed actor / renaissance man / new wave intellectual debuts a new show, "Charlie Sheen's Winning Recipes." Food Network take warning - or start production on "Iron Sheen" ASAP. "I don't cook food, I will it with my mind," he says. We don't doubt him. And you'll never guess what the secret ingredient is. No, not "crazy", but good try.